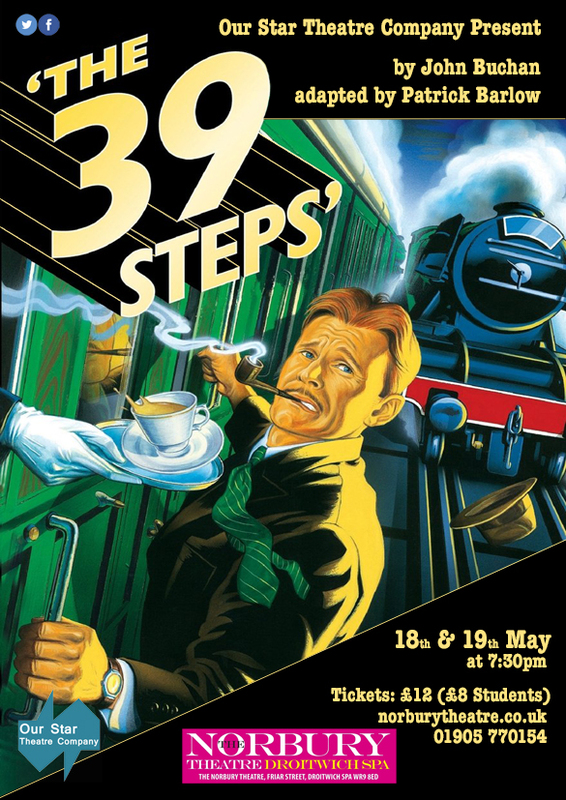 Our Star Theatre Company are delighted to be coming to the Norbury Theatre Droitwich with their brand-new tour of one of Britain’s most celebrated plays, The 39 Steps. Four actors. Dozens of characters. One thrilling, hilarious adventure. Inspired by Hitchcock’s iconic film and the classic spy novel, this play plunges you into the world of Richard Hannay, an ordinary man forced to go on the run after aiding a mysterious woman. From the shadowy streets of 1930s London to the wild moors of Scotland and beyond, The 39 Steps traces Richard’s madcap quest to keep government secrets out of the wrong hands.